The best survival knife is for the one who loves to be adventurous in the wilds or often finds himself in a trap. Just imagine being lost in a forest or getting trapped in a damaged car. In these situations, a survival knife helps in making your own shelter and food, and getting out of car by cutting those rigid seat belts. No matter how you get seized in a survival situation, a knife specifically made for it is a must-have tool to keep your chances of being alive. Also popular as a camping knife, a survival knife deserves to be in your outdoor kit, especially if you will be alone. It makes you defend yourself from predators and other attackers in different survival situations. We’ve put in survival knife reviews so as to help you pick towards the end pf this guide. Apart from self-defense, survival knives are useful for a variety of tasks, such as chopping wood, slicing soft materials, starting a fire, digging, making food, signaling with a polished blade, prying an item open, and clearing your path. You can also use it as a hammer, first-aid tool, and as a tool for making other sharp tools such as arrows and spears. In the wild, your best friend is a survival knife. Both are dependent on each other: you are dependent on its functionality and the knife is dependent on you for suitable usage scenario. 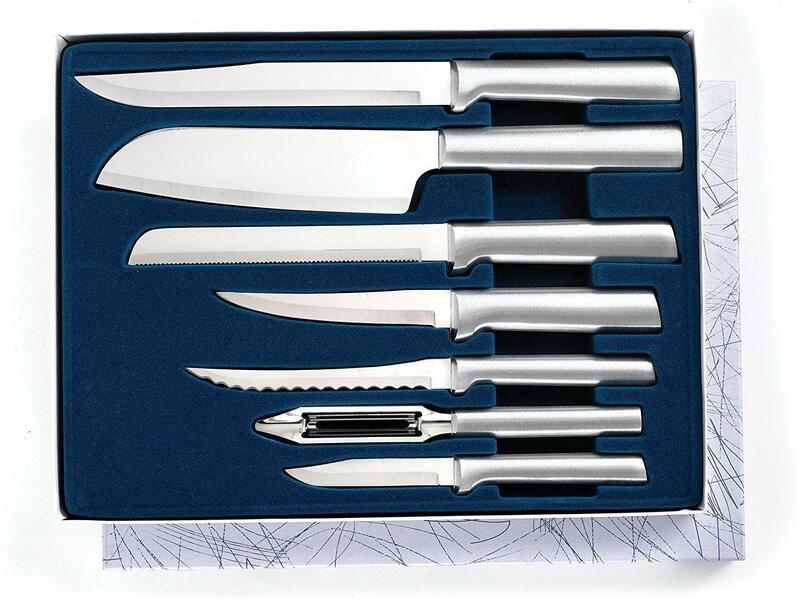 In short, you need a knife that is strong, durable, and instant in giving performance result. The market is filled with different varieties of survival knives. Now, not all of them are made equal. Some differ in terms of blade point and material, while some vary in terms of handle material. Well, these factors that differentiate one survival knife from the other are worth considering for getting the most reliable knife proving reliably versatile in different survival situations. So, let’s check out these factors now! If you have ever used a pocket or Every Day Carry (EDC) knife, you might have chosen a folding blade. It must have given you the desired comfort and intended versatility. Even in a survival blade, such a blade more than sufficiently performs most tasks. However, it is yet not an ideal one. Unlike a folding blade, a fixed blade is tougher to break, stronger, and is able to take up frequent heavy-duty tasks such as batonning or wood cutting. These qualities are not ideal in a folding blade, as they are weaker and fragile relatively. Further, they possess a partial tang, thinner blades, and weak spots incurred by hinges to invite to breakage. Additionally, the folding mechanism can work less smoothly due to dirt or rust blockage. Just imagine using a folding blade to cut fruits in wild, whose folding mechanism begins to loose in some days. You simply have to screw it every time you use it. So, such blades are just not for survival in extreme situations! A fixed blade is not only stronger, but also safer, as there is no risk of involuntary fold back to hurt fingers. Another benefit is that it needs less maintenance. Coming to the limitations, there is hardly any for a fixed blade. The tang is a metallic part of the knife that extends from the blade’s base until the top end of the knife. If you were to remove the handle, full tang is the section that extends from the blade and runs along the entire handle. Usually, a relatively narrow or partial tang wherein the blade wedges in between the handle is ideal to have in a kitchen knife, and not for a survival model. This is because it is likely to break when exposed to the rigors of survival tasks. Such blades are bound to loosen with prolong use, particularly, if you are doing heavy duty jobs too frequently. In case of a partial tang, some area is left out, which you can wrap using rope or cloth if the handle breaks. A full tang knife is superior in terms of strength and keeps breaking of handle away even if you abuse it while using it as a hammer. Its solid striking surface acts as a chisel, when needed. Okay, you get all these features at some extra cost but this extra money is worth investing. You also pay more for getting more quantity of steel, which adds to durability and strength. In many states and regions, the law for using blades in public is quite tight, which includes even if you are within your car. Without exploring it quite deeply, the bottom line says that an individual cannot carry a knife whose cutting edge is over three inches long. Further, flick, butterfly, and other assisted opening models are prohibited for use in public. If you are caught up, penalty or detainment is the only consequence to face. However, if there is a valid and justifiable reason, one can carry a knife with a blade of over three inches. This includes knives carried as a part of government or national attire, for work, and for religious reasons. If you feel that a big survival knife is required to keep predators away quite easily, it is time to re-think over it. While you can slay down a predator in just one thrust, such a knife makes it tough to perform the intricate tasks that a survival condition needs. Thus, you need the right size for your knife, which is more inclined and focused on the blade’s length. The length should be neither too small nor too big. Most experts recommend a blade length of 4 to 6 inches for a survival knife and knife’s length not more than 11 inches. A blade beyond 6 inches is likely to get in your way. Choosing an exact length is dependent on your usage or what you plan to perform with the blade. Keeping the aforementioned range in mind, a small length is less versatile, while a too big one makes it tough to carry the knife. Well, you can even choose a survival knife of beyond four inches in length for a good reason: to perform heavy-duty tasks such as chopping wood, clearing road full of obstacles, and digging. However, if the region is more temperate, a smaller knife is a better choice for surviving in the wild. Still, the best blade length of between four and six inches is sufficient for making a sharp tool and carving wood. Such a knife is more durable, ensures precision, and maintains balance between versatility and largeness. The edge is the blade’s sharp side running from base to tip. Well, this can be straight and smooth, fully serrated, or partially serrated. Choosing one of these is a matter of debate, as a straight one is ideal for wood chopping and is easier to sharpen, while a serrated one is ideal for cutting ropes. In short, you will need both the edges for different tasks. Thus, it is best to go with partially serrated edge. However, it is worth keeping in mind that a serrate edge is tough to sharpen. A straight blade can be sharpened with a smooth stone even if a whetstone is available, but a serrated edge needs a dedicated sharpener. Further, in most situations, serrated edge does not contribute much to functionality in the wild. There are straight cutting edges designed as all-purpose ones. However, they may have a positive, negative, or a neutral rake angle measured from the bolster. Of all, neutral one is common and it expands at a right angle from the bolster, while a positive one expands at a downward angle for augmenting the angle of attack while slicing or cutting. A negative angle expands at an upward angle and reduces pressure on the cutting edge. You also can go for recurved edges having a straight part expanding from the Ricasso and later changing into a positive angle while reaching the blade’s center. It then curves to the tip while moving to the edge’s belly. Such an edge gives a blade that is reliable for carving and cutting close to the bolster as well as for better chopping. Spine is back of the blade, which is opposite to the edge. Usually, users prefer a flat spine without a sharpened or saw-like edge. Such a spine is ideal for hitting and splitting wood. Further, the spine should have a flat ground with the single-edged design. Having a double-edged blade is just not required for most survival tasks. In fact, it can prove to a weak point for you. Thus, a single-edged blade is ideal to have, coupled with the spine having a flat 90 degree grind. Such a spine is just effective in striking a ferro-rod for initiating fire. In case of a beveled or curved spine, this task is just impossible to perform. Further, such spines also do not contribute to wood batoning, which is actually one of the primary tasks in a survival situation. This factor helps in finding out the knife’s overall functionality. For instance, a kitchen knife is shaped such that it can chop all veggies and fruits but not woods in forests. Similarly, a tanto shape or spear point with double edges is ideal for fighting. However, for survival knives, a clip or a drop point style is ideal, as they are suitable for related tasks. A clip point tip features a bit concave arc atop, which is strong. At the same time, an exaggerated curve is vulnerable to breakage while hammering. On the other hand, a drop point is an ideal versatile style. It has a downward sloping back or dull side at a bit of angle starting halfway and joining the blade edge just atop the center. Such a shape is ideal for different outdoor tasks. On such a knife, the thick blade’s back extends the tip to uplift the structural strength of the tip. You need a drop point for making holes into hard items such as metal and loosen or tighten screws without breaking the blade. For this task, a clip point is not recommended, as it easily loses its tip while drilling. Well, for a survival knife, this should be sharp and pointed. This might seem to be assumable but it can be confusing to see a lot of survival blades with angled or rounded tips, which are certainly not useful for normal survival chores. In absence of a sharp pointed tip, the ability to fight during an attack is reduced, which in itself is a big issue to face in a survival situation. However, if you have such a tip, the blade becomes useful for several smaller tasks. High: Measures between RC 60 and RC 65 and is a bit more brittle than other levels. As a result, the impacts can result in chipping. However, it is capable of retaining the edge quite well. Experts recommend this hardness level for generic cutting and small knives. Medium: Measures between RC 58 and RC 60 and retains edge moderately. It is recommended for a survival knife meant for generic uses or for a wide range of jobs. Low: Measures between RC 52 and RC 58 and does not retain the edge well. However, it is least brittle due to which it is recommended for impact blades, such as those in axes. When it comes to the design of survival knife, it is recommended to for thick blade and flat top. While the former adds to durability and strength, the latter contributes to versatility, precision, and safety. You can either choose a double edge as a sword or a flat top (single edge) but the former is ideal for ripping off someone’s guts. A flat top or single edge allows gripping the knife’s top well. A good quality survival knife features a superb thick blade, but the degree of thickness that you would prefer depends on the knife’s structure and material. In short, the thicker the blade, the better will be the performance and stronger will be the knife. No fixed measurement in terms of inches exists here. To decide, just look at the knife and check whether it looks thin and weak or fat and strong. If you are still looking for recommended thickness, it is 3/16 to 4/16 of an inch for survival knives. Such thickness can withstand the abuse of prying and chopping. Well, this is usually steel. Considering the rigor of survival knives, not all types of steels are identical. Different qualities of steel are available, and each one differs in terms of their ability to contribute to blade’s strength, its ability to take impact (toughness), longer edge retention, and ease of sharpening. Currently, the competition is tough between stainless steel and carbon steel. Stainless steel is merciful to all abuses due to which it hardly rusts or corrodes and retains its edge for long. However, it requires more efforts to sharpen it and is usually less tough (more brittle). On the other hand, carbon steel comes with a very sharp edge that sustains for long, is tougher while chopping or splitting, and is easier to sharpen. However, it corrodes and rusts quickly if ill-treated or not maintained well. Knowing these differences is essential as you choose a high quality model at high price. Consider stainless steel for a survival knife to be used on a short camping trip of, say four days. Recommended stainless steel grades for survival knives are S90V, S60V, CPM S30V, BG-42, and CPM 154. However, go for carbon steel if you want a knife to be used heavily for years to come, in fact, for lifetime. Recommended carbon steel grades are O1, D2, A2, CPM 154, and Carbon V.
Carbon steel’s maintenance shall only require a good sharpener and some oil. It takes only two minutes to sharpen its edge. The only con is that you will have to sharpen it quite often. However, the fact that it comes with a sharper edge is a major pull for survival. If you can afford more, titanium is another blade material worth considering. Hollow: Offers a concave part with a beveled edge, something seen in straight razors. It is sharp but the edge is fragile and is hardly seen on survival knives. Such knives have a second bevel at the edge, which is either convex or scandi. Full Convex (Axe): Involves a curved tapering, which enables the blade to hold good amount of metal to deliver sharper and more powerful edge. Consider it for making tools such as axes and cutting different stuff. Scandi: Is similar to a straight grind but the bevel begins in the mid of the blade instead at its back. It adds durability but is not cent percent infallible when it comes to cutting. Flat: Has a tapering blade on both sides from the spine to edge. Full Flat: Involves a narrowing blade towards the spine from both sides. This results in considerable loss of metal due to which its durability is not commendable. High Flat: Is analogous to a flat grind but unlike it, this one reaches up to the spine. Saber: Retains the sharp edge well but does not cut effortlessly as the hollow grind. It is much like a flat grind but begins far down the blade. Double or Compound Bevel: Is slimmer behind the edge to boost cutting ability. The tangible or actual edge features a wider angle due to which it lasts for more time but the cutting ability is not that good. 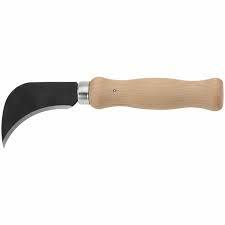 Chisel: Has only a single side as grounded; it is just like the chisel.A saber or double bevel grind is recommended for a survival knife. This is because they retain their wedge well as well as are the easiest to sharpen without using any dedicated or special tools. Well, the handle needs to have good grip, tight feel in hand, and comfort and soft feeling. At the same time, it should not be too small or big, should not annoy your skin, and needs to have good notches and dents for great grip. Grip is important, as it makes no sense in buying the best survival knife if it slips just to stab your stomach accidentally. Each user’s hands varies in terms of shape and size. So, not all handles are best for all of them. It is best to try the handle by grabbing it in hand. However, if buying online, customer reviews are helpful. While there are some materials recommended for handles, the synthetic ones are best. Of them, hard rubber with notches and dents is preferable over wood or metal. This is because it gives a textured surface to reduce the chance of slipping. Moreover, rubber tends to absorb shocks more efficiently and gives good grip even in wet conditions. You will find handles made up of plastic, bone, horn, and leather. Horn is durable but costly, while leather and wood ensure good grip and a nice finish but are subject deterioration. You can even go for plastic that is non-absorbent and a strong material. Do look for a guard between the handle and blade, which aims to defend your hand while at work. It is better to go for a single guard than a double one, as it contributes to a myriad of different grips. Do also choose handle with finger grooves or a bit bent one for better comfort. It is recommended choosing a handle with a lanyard hole to which you can pass a cord for hanging the knife from your neck or arm as a wristband. Consider a flat end knife, which prevents breaking of handle while using it as a chisel. These two features enable easier and safer performance for fine tasks. A good survival knife has a finger guard acting as a barricade between the blade and handle to avoid harming the palm if it slips. Between the blade and guard, choils appear as dull bulges to enable holding the knife from its middle part and keeping fingers away from slipping into the edge. Appearing as small indentations on blade’s flat top; jimping allows gripping the knife closer to its tip without any risk of slipping. This is required for always carrying the knife with you but without using your hands. A sheath protects both you and the knife. If you have never used one of those serious survival knives, the importance of having a sheath might not be so much for you. Nevertheless, it is vital to note that a sheath tends to impact how you pull as well as carry your knife significantly. A good quality sheath is made up of leather or Kydex material (better option), with the former inviting rust more easily. You can even choose a nylon sheath but that is not equal in terms of quality of Kydex. 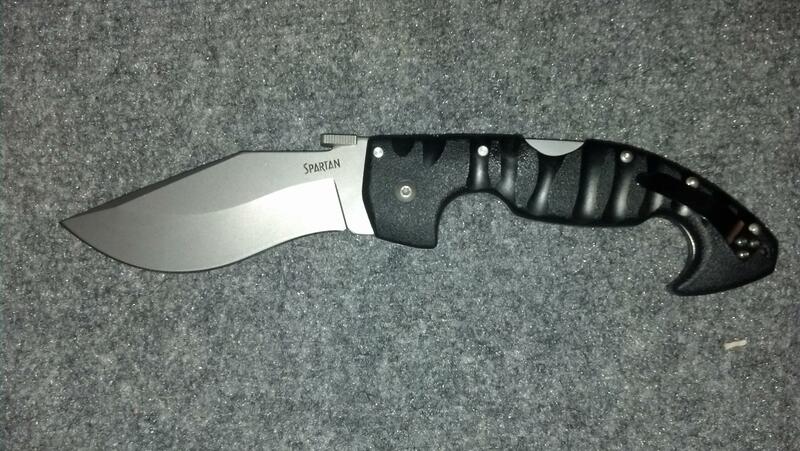 Nowadays, sheaths come with an extra lanyard hole wherein a cord keeps your knife away from getting lost. A sheath should also possess a tunnel belt loop, while the handle needs to possess a strap to prevent it from gliding out of the sheath. A few sheaths come with a small pocket wherein you can store a sharpening stone for sharpening the blade. This will surely increase the overall carrying weight but is definitely useful. Belt and Lanyard Add-on: Your sheath should have a belt loop, while the handle of knife should come with a hole for a lanyard. Lower Add-on: Having this in the form of a cavity or extra piece at the sheath’s tip allows strapping the knife onto a backpack or leg while on belt. Strap: This determines the manner in which the sheath wraps around your tool. A crossover strap exactly where the sheath meets the handle is ideal. If the sheath’s strap is at the handles bottom, it can make the knife to glide out. Well, this should be strong! It is a part of knife that exists at the very bottom of the handle. Strategically, pommel is a critical part of a survival knife, as it is capable of contributing to several tasks such as hammering knife into a wood piece. So, having a pommel increases the number of things you can do with the survival knife while in the wild. While analyzing the aforementioned factors, it is recommended avoiding the consideration of a survival knife as an all-purpose knife. Rather, it is more beneficial to perceive them as purpose specific knives, which can be camping knives, heavy duty choppers, or utility knives. When you consider a survival knife as a system instead of a single, general purpose tool, it gives you the benefit of uniting a utility knife with a large camping one or a compact heavy chopper with a small camping one. Doing so ensures that you have the right knife always at hand. A reliable heavy duty chopper has an extra bulky blade measuring over 10 inches in length and made up of high carbon steel such as A2, 1095, or O1 instead of stainless steel. Further, it should have a shallow saber grind and non-slip handle made up of a tough material. Similarly, a reliable camp knife has a general purpose design of blade measuring between five and eight inches in length. It has a flat or a deep saber grind designed from high quality stainless steel like 440C or AUS-8 as well as an ergonomic handle. If you wish to have a utility or bush craft model, it might have a fixed or a folding blade that measures not more than five inches in length. Its blade has a hollow or a flat grind delivering great sharpness. Such blades are usually made up of high quality stainless steel. Is certainly the ultimate model made for experiencing a multitude of adventures in survival conditions. It has partially serrated 4.5-inch blade in black, fine edge, integrated fire starter, molded rubber grip, diamond sharpener in sheath, and micro whistle on lanyard. These utilities are just more than sufficient to survive in the wild. 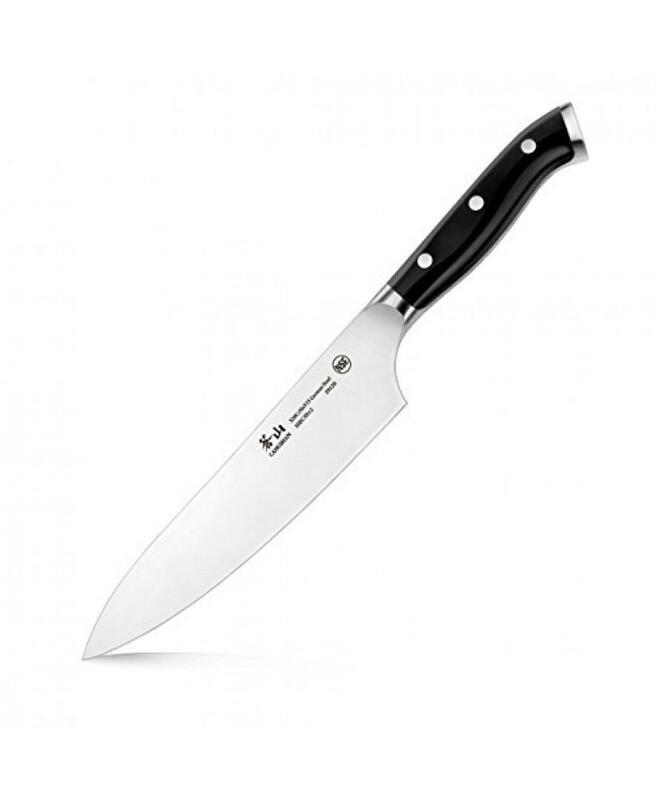 Is a high quality knife with 6.3-inch blade made up of VG-10 stainless steel, plain edge, and drop point. The blade’s thickness is 1/4-inch, which is good for heavy tasks. It also boasts convex grind, which gives better cutting edge than the flat grind. The handle is made up of Kraton material, which is far superior than leather. Is a versatile knife with 3-inch fixed blade, 5-inch handle, and a polymer scabbard giving you protection. 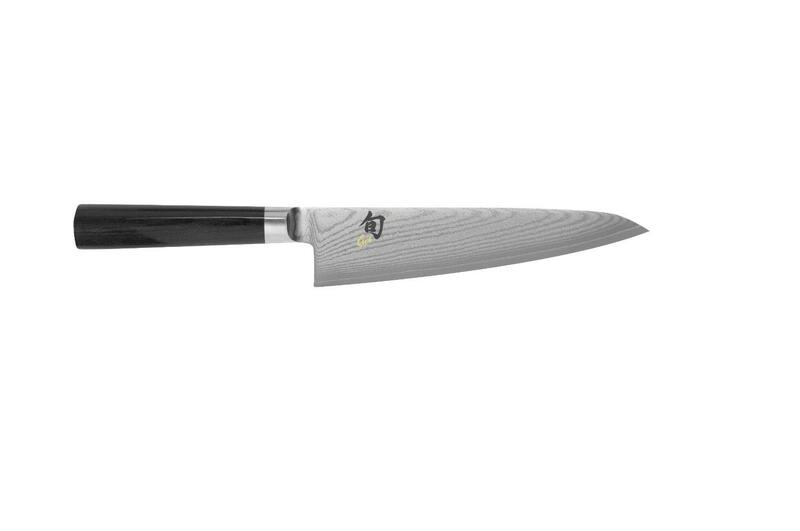 Both the handle and blade is made up of SAE 1070 high carbon steel. The blade has partial serrations, while the handle has a rubber grip. You also get a nylon sheath. Is designed for outdoor enthusiasts by offering 4.1-inch high carbon steel blade having 0.125-inch thickness, extra-large ergonomic handle with high friction and patterned grip, and plastic sheath with belt clip. The blade also has 27 degree edge angle that is blunt, but essential for high load capacity, scandi grind, and drop point. Is ideal for camping. It is lightweight but a heavy-duty knife with a full tang blade made up of 1095 cro-van steel ideal for splitting firewood and chopping veggies for grill. The blade features drop point and is 5.5 inches long. The handle is made of Grivory that is known to offer balanced grip. There is also a glass-filled nylon sheath due to which the blade remains sharp and safe. These knives are built for the AF Survival Kits, which are used during an emergency. However, they can do much more, right from helping the air men in escaping an uncontrollable aircraft to defending oneself and building fire. It helps meet all the basic needs of a survivor. These knives or similar ones were made for usage with a small pocket knife having four blades. This combination was used for finer cutting tasks while striving for survival, such as cutting sticks or striking a ferro rod. Originally, the knives were chosen for brute force-like jobs such as wood batonning, hole digging for fire or water, or even sawing via an aircraft’s aluminum skin. These tasks might be time consuming with these knives. Still, the USAF knives are multi-purpose tools, instead of just being cutting tools. 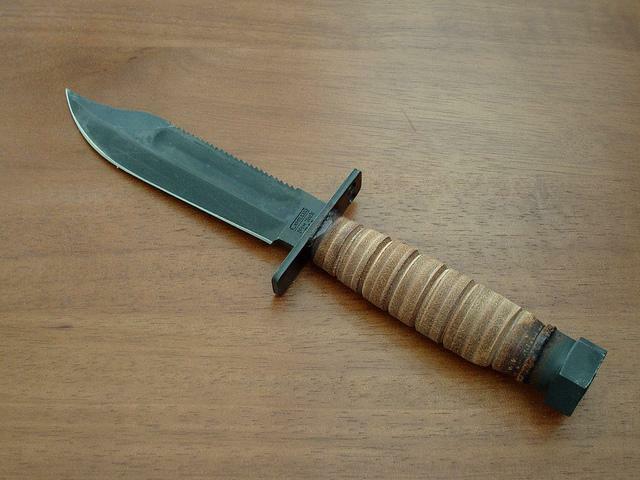 The USAF survival knives are relatively free of maintenance, as it is designed to be packed for many continuous months. They feature a blade made up of 1095 carbon steel and having a Rockwell Hardness of 50-55. While the handle is of leather ensuring comfortable grip even with gloves and wet hands, the blade has a finish of a rugged zinc phosphate to prevent rusting at the time of storage. The multi-use capability is perhaps somewhat responsible for softer steel blade. While a harder edge is more fragile and vulnerable to breakage in too tough situations as well as is harder to re-sharpen, a softer edge is more supple and bendable in pressure. Having just one knife to rely simply cannot associate itself with breaking. However, a soft edge is not going to stay sharp for long. This is why USAF knives are shipped with a sharpening stone. The biggest strength of USAF knives is its spine although the tang is partial. Due to the spine, these knives can endure a critical beating, for example, making thousands of wood fires without a scratch on themselves. On the other hand, the biggest limitation is the ability to do truly fine cutting jobs. This is because of somewhat steep or wide bevel, which if narrowed a bit, helps in better performance for wood shavings and cutting feather sticks. Is the classical, iconic knife in use by pilots. It is made in the USA and features a leather handle and sheath, 5-inch parkerized blade whose top edge is serrated, and a sharpening stone with pouch. It is compliant with General Services Administration (GSA). Is a bit more affordable than the Ontario 499 model and is tagged as the next-generation survival knife. It comes with a cozy Kraton handle, tactical sheath, full tang design, fixed lock, and 1095 carbon steel blade with powder coated and epoxy textured surface. The blade is 5.5 inches long, has flat bevel, and holds hardness of 57-59 HRC. Is costliest of the above two options but is the choice of for the air warrior equipment system. This survival knife come with a strong 5-inch blade made up of carbon steel, serrated edge and zinc phosphate finish, aluminum-based and insulated handle, strap-cutter multi-tool, and flame-retardant sheath of nylon. The name is likely to make you recall the well-known Rambo movie ‘First Blood’. Well, the first Rambo knife was used in this movie. Before Bear Grylls, John Rambo was famous amongst the adventure lovers. He is famous even today due to which his used ‘First Blood’ knife is still popular. 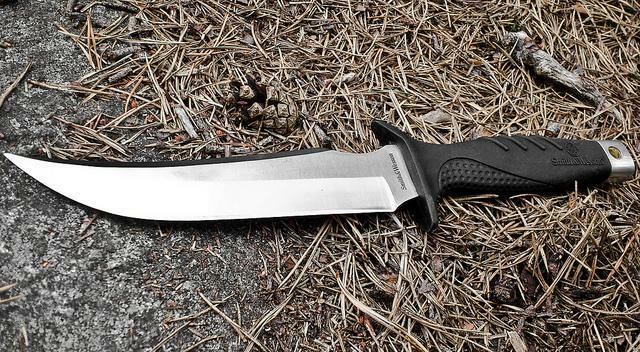 A Rambo survival knife depicts the brainchild of an Arkansas knife maker, Jimmy Lile and is based on survival knives of pilots of the Vietnam era. The notion is that there is a reliable knife in your hand when the plane crashes, which holds a survival kit encompassing all basics such as matches, threads, needles, and a small surgical knife. Such a use was demonstrated by Rambo himself in the movie. While his knife was bigger than the normal knife for aviation, it is still used for survival purpose. In the first two movies, the hero’s knife changes in terms of color. In the second part, the knife is actually an inch larger. With some more minor differences, the design of knives in both movies is basic. However, the knife design in the third and fourth parts is totally different. In the third part, the Rambo knife was a survival tool with some serrations atop and a handle of laminated wood. There was no hollow handle with a survival kit. In the fourth part, a handmade machete was the sensation. Just like these originals, you will also get official replicas at a much cheaper price, which tend to differ in terms of design details and materials. These days, the replicas are of stainless steel, are 14 inches long, and contain 14 ripped saw teeth for cutting wires, small branches, and metals. The guard in these replicas also has additional features, as there are holes and flat screwdrivers. Wrapped in green cord of nylon, the handle is concave enough to hold a survival kit covered in a waterproof plastic case. At the handle’s end, a screw exists on the cap along with a glass breaker. Inside the cap, there is a compass. The official producer of Rambo replicas, United Cutlery, has sold thousands of Rambo III copies. Did you know that the idea of the hero carrying a survival knife is not there in the movie’s inspired original novel by David Morrell? Well, it was recommended by Sylvester Stallone, a knife fan, to show his guerrilla training. Is the most affordable miniature Rambo knife on this list. It features a 4.5-inch long blade, 2.5-inch wood handle, and a leather sheath with Rambo logo. The blade is made up of stainless steel and features Sylvester Stallone signature. This knife is from the Signature Edition and comes with a certificate of authenticity. Is perhaps among the costliest ones but has more features. This officially licensed Rambo knife comes with a 9-inch long and 0.25-inch thick blade made up of 440 stainless steel, a handle with cord wrap, and a survival kit with matches, sinkers, hook, compass, razors, and more. A certificate of authenticity is also there. Is the officially licensed reproduction and is available at a more affordable rate than the above RAMBO II model. It comes with improved fit and finishing in the pommel as well as guard sections. The knife also features a hand ground blade reflecting a finish of the highest quality. You also get a dark brown leather sheath with leg tie. Military knives are special survival tools with double-edged spear points for close-quarters combat. Even tanto knives and knives with more than three edges on a blade are used for such combats. However, these knives are not useful for surviving in the wild, as they cannot split or chop wood. The most unique survival knife is designed in a way such that it is suitable for fighting or military usage. It is highly efficient and is commonly used as a survival knife meant for self defense. The knives dedicated to the military range have very sharp blade that can even perform well during civilian use. Military knives are available in different styles, blades with saw teeth, and prices. This is why you will see them with fixed and folding blades. A quality model also comes with a watch, compass, and other such useful utilities. Many superb military knives are in use by the armed forces. These knives are bowie knives, tactical knives, special fighting knives, boot knives, and fixed and folding ones, all being designed exclusively for survival and combat challenges on the front line. Military survival knives are also chosen by outdoors sports fans and adventure seekers, apart from the military personnel. The military models are heavy-duty ones to withstand much stress. However, the cost is dependent on the extra features, sheath material, and handle. These people prefer such knives due to high durability as well as versatility in terms of performing several chores. A good military knife has three best-rated factors: Construction material of blade, knife size, and handle. Is the most affordable one on this list. It is a folding knife with Assisted Opening mechanism, 5-inch long handle made up of G10 stainless steel, and 4-inch long blade (when closed) of stainless steel. The handle fits nicely without letting you compromise the excellent grip. The edge is very sharp for different survival tasks, while the blade is durable – a blend that is required to get the task done. The knife comes with a lanyard hole and belt clip for portability, glass beaker, belt cutter, and liner lock safety system. Consider this folding knife for keeping and carrying in your pocket. Is available at a bit more rate than the above military tanto model but is still affordable and worthy of that much money. Designed for the roughest as well as toughest users, the knife is tested for its quality as well as maximum durability. Despite this assurance, the construction is quite lightweight to assist even the one with some kind of hand disorder such as arthritis. With a black aluminium handle, blade coated with stainless steel, and double-edged spear point, the knife’s performance as well as comfort level is much analogous to that of a Rothco military knife. You also get a leather boot sheath with a pocket clip, ensuring ease in carrying the knife. Is a bit costly but has the reputation of triumphing in one of the most big test programs of the U.S. Government. It is one of the most specialized lightweight knives in use by the leading military groups of the world. The knife comes with partially serrated 4.75-inch long blade made up of high quality AUS-8 steel and powder coated finish. This steel has a high hardness level of 56-57, which is enough to be convinced of its durability and reliability for rough and tough tasks. The handle is rugged and is made up of durable Zytel material. You also get a carry sheath made up of MOLLE compatible nylon as well as a pouch. According to the manufacturers, this is a general purpose knife suitable even for adventure seekers. Well, as stated above, there is much to consider while looking for the best survival knife. Just do not limit yourself to selecting the best blade design, length, and steel material, as doing so makes it tough or risky to get up to the most suitable model. It is wise to even consider the edge, tang, and handle’s design and material. Above all, always consider a survival knife as a small comprehensive system. This means you should not expect it to be your only survival tool or kit! It is just one of the essential parts of a survival kit, and not the whole or a replacement. This can be a vital factor to decide your budget for the best survival knife!